A Fortuitous CO2 Storage Test: Cores from the DuPont No. 1WAD Waste Disposal Well, Jefferson County, Ky. 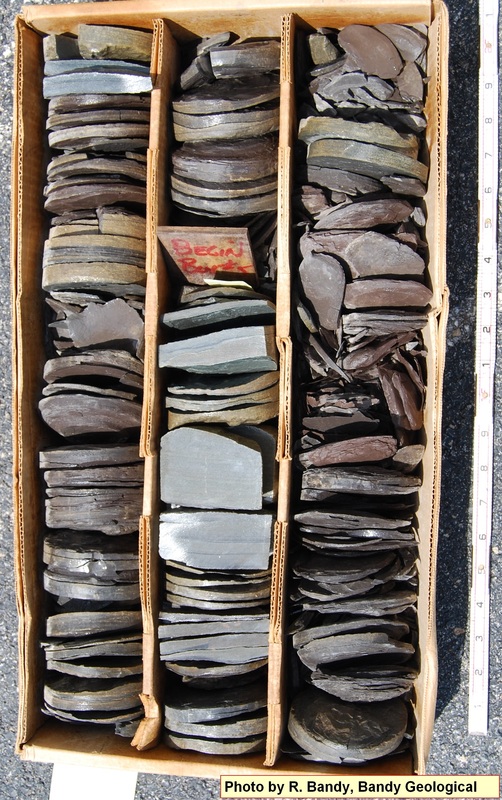 In addition to cores related to mineral extraction, rock cores obtained from waste-disposal wells are housed at the KGS Well Sample and Core Library. Locations of permitted disposal wells in Kentucky are shown on KGS Map and Chart 204, Series 12, by Sparks and others (2013). The U.S. Environmental Protection Agency regulates Class 1 waste-disposal wells in Kentucky under its Underground Injection Control Program. Two of these wells were drilled in the early 1970s by DuPont de Nemours at its Louisville neoprene plant, part of a chemical-industry complex locally known as “Rubbertown.” The deepest of these wells, the No. 1 WAD, reached Precambrian basement at a total depth of 6,011 feet. Records and logs for the well are available from the KGS Oil and Gas database. DuPont needed to dispose of waste hydrochloric acid, which means porous and permeable reservoir rock and impermeable seal rock were required to contain the waste deep below the freshwater table. Cores were taken from numerous formations while the well was being drilled, in both potential injection and confining zones, to evaluate the feasibility for waste disposal (Table 1). Table 1. Cored intervals in the DuPont No. 1 WAD well, Louisville, Ky. Although DuPont initially planned to inject into the Mount Simon Sandstone, testing determined that zone lacked sufficient permeability to handle the volume of waste. DuPont then tested carbonate rocks (dolostone) higher up in the hole, in the Knox Group. They found excellent permeability in a fractured and possibly cavernous zone in the Potosi Dolomite (Copper Ridge equivalent) around 3,150 feet below the surface. The well log shows a spike on the caliper and density log at this depth, indicating an open void. Formation-fluid samples taken from this zone indicated the water is too salty to be used as drinking water, but is suitable for waste injection. Unfortunately, the eventual injection zone was not cored, but porosity and permeability data for the other cores are shown on the chart below. These data show generally poor reservoir quality in the Knox and Mount Simon. 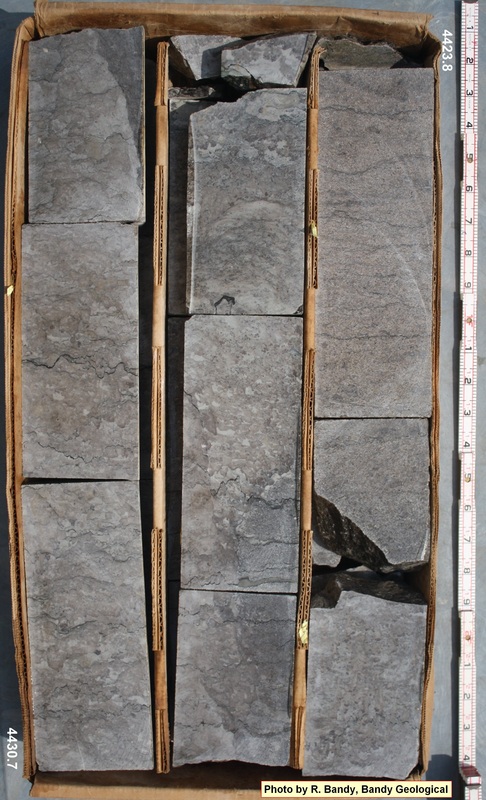 Although some of the Mount Simon samples have higher permeability than the Knox, injection pressures were too high to use that formation. The Knox data illustrate the high degree of heterogeneity typical of many carbonate rocks. The high-permeability fractured or cavernous zone that was used for injection is not represented in these data. Porosity and permeability data from the DuPont cores. Minimum analytical detection limits were 0.1 millidarcys for permeability and 3 percent for porosity. Thus, values plotting on the axes are probably less than indicated. Hydrochloric acid, ranging in strength from 0 to 10 weight percent (average of 6 weight percent) was injected in the well from 1973 to 1980, fresh water from 1980 to 1983, acid from 1984 through 1992, and fresh water from 1993 until the well was closed late in 1993 (Clark and others, 2005). 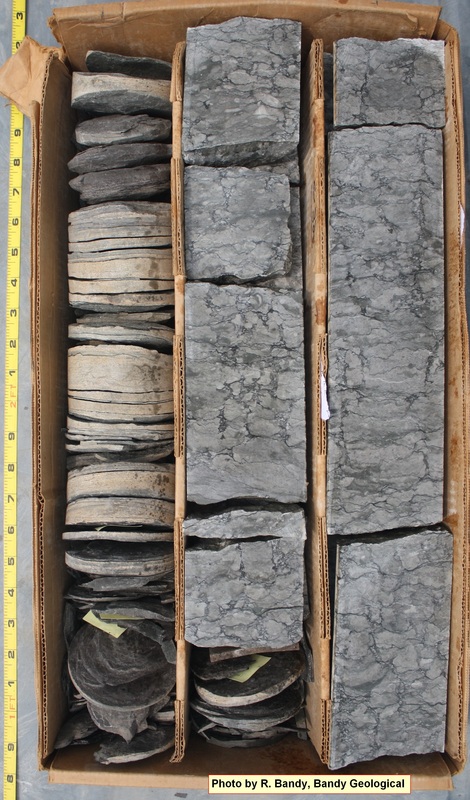 Cores from the DuPont well not only helped in the design of a successful waste-injection project, they also provided important data for later research by KGS on geologic carbon dioxide (CO2) storage (sequestration). Just as in the No. 1 WAD well, the Cambrian Mount Simon Sandstone, a porous saline aquifer across much of Illinois and Indiana, is not suitable for injection in much of Kentucky. The Mount Simon Sandstone is the reservoir for large-scale CO2 injection tests in Decatur, Ill. (1 million+ tons), but it was not deposited over most of Kentucky. As KGS considered other geologic options for storing CO2 in Kentucky, carbonates in the Knox Group showed the best potential at the depths required for supercritical (dense phase) CO2 storage. KGS drilled deep research wells in Hancock and Carter Counties, and tested Knox reservoir intervals by injecting CO2 and water. As we were planning the CO2 research wells, we discovered that DuPont had already inadvertently proven the concept of CO2 storage in the Knox. As the injected hydrochloric acid reacted with the Knox reservoir, dolomite was dissolved, creating a large cavity, and generating CO2. At that depth and pressure, the CO2 was in a supercritical (dense liquid) phase, but less dense than water. The buoyant CO2 rose to the top of the dissolution cavern, forming a 14-foot-thick CO2 cap above the liquid waste below. DuPont was able to document the dissolution caverns that formed around both the No. 1 WAD and No. 2 WAD wells, using downhole logging tools. A gradiomanometer was used to measure the fluid densities in the cavern, and a sonic caliper tool was used to measure the size and geometry of the cavern walls. A borehole televiewer (camera) confirmed the presence of a liquid CO2 phase in the cavern (Clark and others, 2005). Data from the sonic caliper tool were used to map the size and orientation of the subsurface dissolution void. This tool does not work in the lower-density CO2 fluid, and images show only the horizontal contact between the CO2 zone and aqueous waste below. The cavern in the No. 1 WAD well is asymmetric, and elongate in a northeast-southwest direction because of heterogeneity in the rock’s permeability. It was more than 450 feet wide and about 55 feet high (the CO2 cap was 14 feet thick). The CO2 cap actually served to isolate the roof of the cavern from the acid waste, preventing further upward enlargement after the CO2 bubble formed. DuPont did extensive measurement and calculations to ensure that the caverns would not collapse (Nopper and others, 2005). The presence of this dense-phase CO2 cap within the Knox provides evidence that CO2 can be stored and contained within the Knox, at least as long as a few decades. As this example proves, parts of the Knox are permeable and suitable for injection, whereas other zones are impermeable and can prevent the CO2 from escaping upward. DuPont decided to end its waste-disposal project in 1993, and has plugged all of the wells. Prior to plugging, they injected fresh water in both wells to dissolve and flush the CO2 cap, so no CO2 remains at the site. Recently, the DuPont No. 1 WAD cores were used in several regional studies to evaluate carbon sequestration potential in Kentucky. The U.S. Department of Energy funded an evaluation of carbon storage in the Knox Group and St. Peter Sandstone in Illinois, Indiana, and Kentucky. The project, led by the Illinois State Geological Survey, was completed in 2014. The DuPont Knox core descriptions are available, and a report on the cores is available (Harris and others, 2014). The final report from the study is also available (Leetaru, 2014). In addition to the Knox cores, other cored formations in the DuPont well have provided important research data. 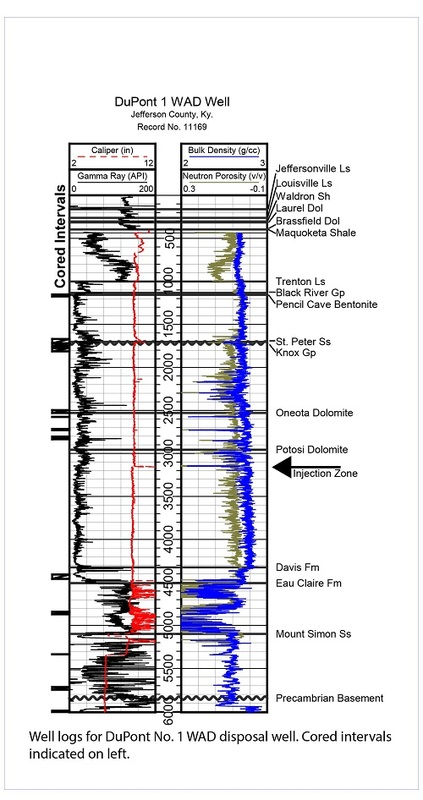 Bandy (2012) studied the Cambrian Davis Limestone and Eau Claire Formation cores, which are primary confining zones (seals) for CO2 injected into the Mount Simon Sandstone in the Illinois Basin. The deepest core, in Precambrian basement rocks, is of interest for regional structure and tectonic studies. This core contains a mafic gabbro, a coarsely crystalline igneous rock. The gabbro has been dated at or before 1.5±0.2 billion years (S. Bergman, ARCO Exploration, 1993, personal communication in KGS well records). 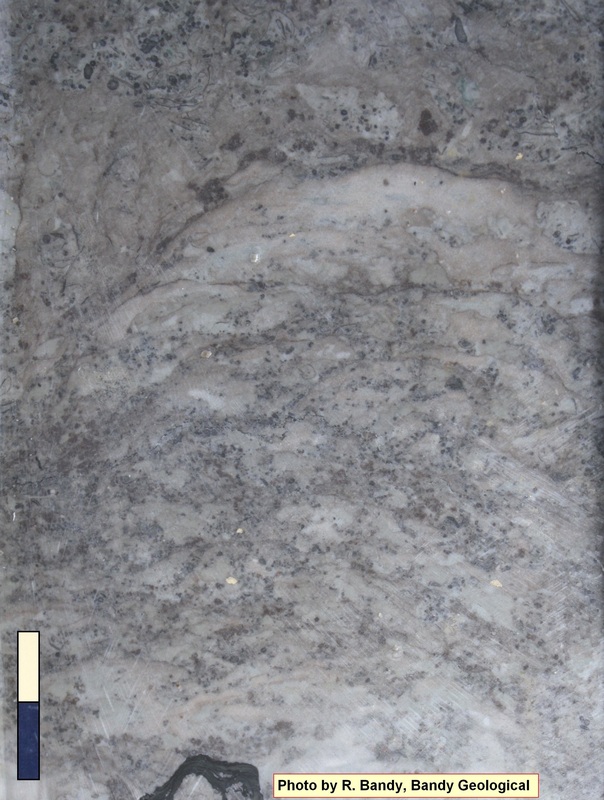 According to this report the gabbro is thought to be part of the Eastern Granite Rhyolite Province, and formed either as an igneous intrusion or a thick extrusive lava (with slow cooling, which explains the coarse texture). 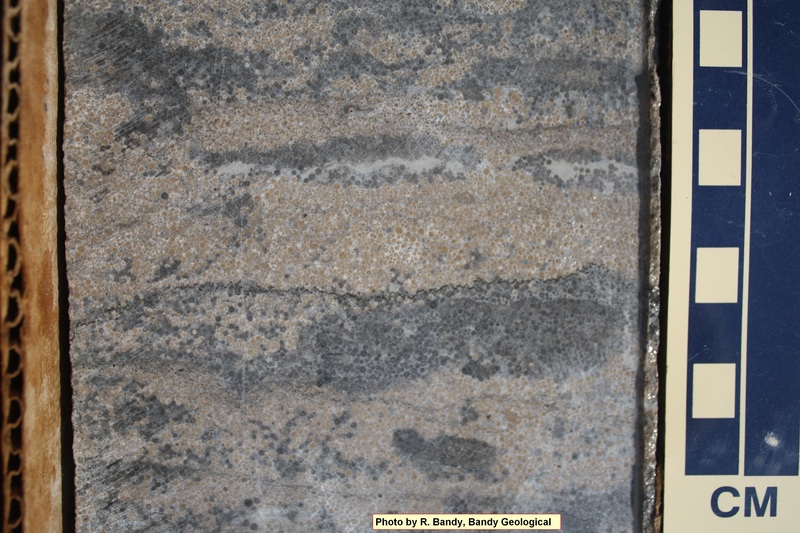 Contact of Davis Limestone (right) with Eau Claire Shale (left), 4,444-49 ft.
Davis Limestone, thrombolite and oolitic limestone 4,423-4,430 ft.
Thrombolite (algal) limestone, Davis Limestone, 4,426 ft.
Oolitic limestone in Davis Limestone at 4,416 ft.
Bandy, R.E., 2012, Geology of the Eau Claire Formation and Conasauga Group in part of Kentucky and analysis of their suitability as caprocks for deeper CO2 sequestration: Kentucky Geological Survey, ser. 12, Thesis 6, 157 p., https://kgs.uky.edu/kgsweb/olops/pub/kgs/T06_12.pdf [accessed 11/02/2018]. Clark, J.E., Bonura, D.K., Miller, C., and Fischer, F.T., 2005, Demonstration of presence and size of a CO2-rich fluid phase after HCl injection in carbonate rock, in Tsang, C., and Apps, J.A., eds., Underground injection science and technology: Developments in Water Science, v. 52, p. 451–457. Harris, D.C., Ellett, K., and Rupp, J.A., 2014, Geologic characterization and carbon storage resource estimates for the Knox Group, Illinois Basin, Illinois, Indiana, and Kentucky: U.S. Department of Energy Topical Report DOE/FE0002068-19, 96 p., https://www.osti.gov/biblio/1202229-geologic-characterization-carbon-storage-resource-estimates-knox-group-illinois-basin-illinois-indiana-kentucky%20[accessed%2011/02/2018]. [accessed 11/02/2018]. Leetaru, H., 2014, An evaluation of the carbon sequestration potential of the Cambro-Ordovician strata of the Illinois and Michigan Basins: Final Report, U.S. Department of Energy Cooperative Agreement DE-FE0002068, 82 p., www.osti.gov/biblio/1167490 [accessed 11/02/2018]. Nopper, R.W., Jr., Miller, C., and Clark, J.E., 2005, Stability analysis of a solution cavity resulting from underground injection, in Tsang, C., and Apps, J.A., eds., Underground injection science and technology: Developments in Water Science, v. 52, p. 458–470. 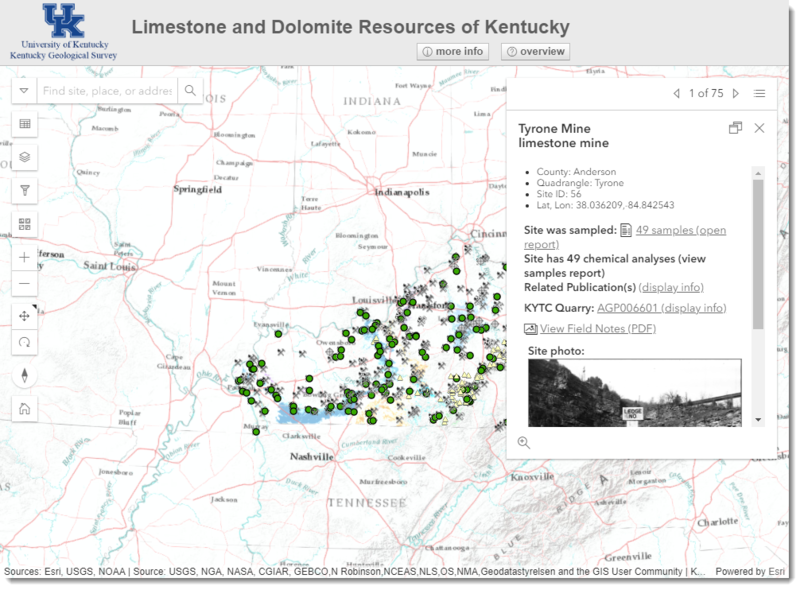 Sparks, T.N., Harris, D.C., and Bowersox, J.R., 2013, Class I Waste-disposal wells and Class II Brine-Injection Wells in Kentucky: Kentucky Geological Survey, Series 12, Map and Chart 204, 1 sheet., https://kgs.uky.edu/kgsweb/olops/pub/kgs/MC204_12.pdf [accessed 11/06/2018]. 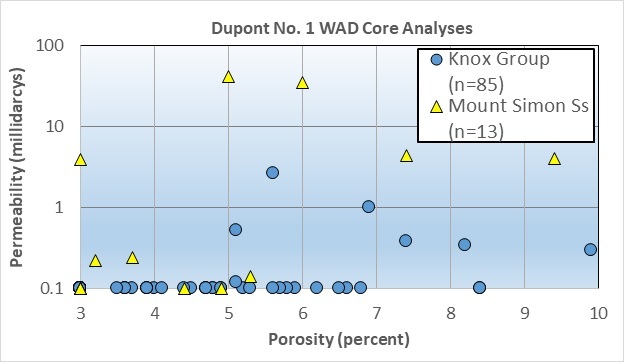 The DuPont cores are archived and available for examination at the KGS Well Sample and Core Library, 2500 Research Park Drive, Lexington, KY 40511. 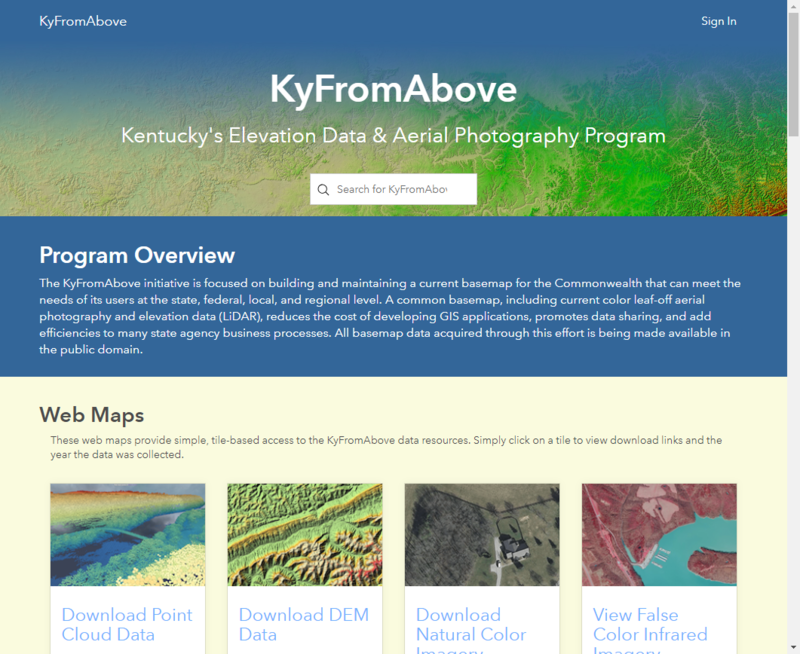 Please call (859) 389-8810 to request materials and schedule a visit.